ORLANDO | The LGBT+ Center of Central Florida and Two Spirit Health Services are holding a holiday toy drive to benefit LGBTQ families and foster kids in the Central Florida area. 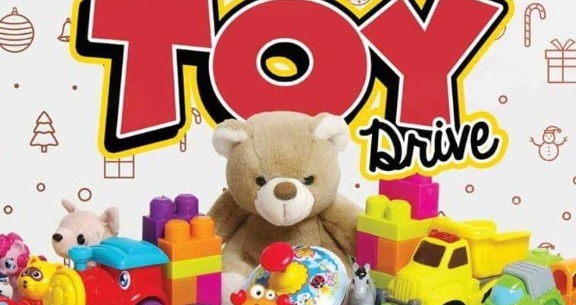 Toy collection will begin Dec. 3 and go through Dec. 21. They will start picking toys up on Dec. 22 to take to the kids. 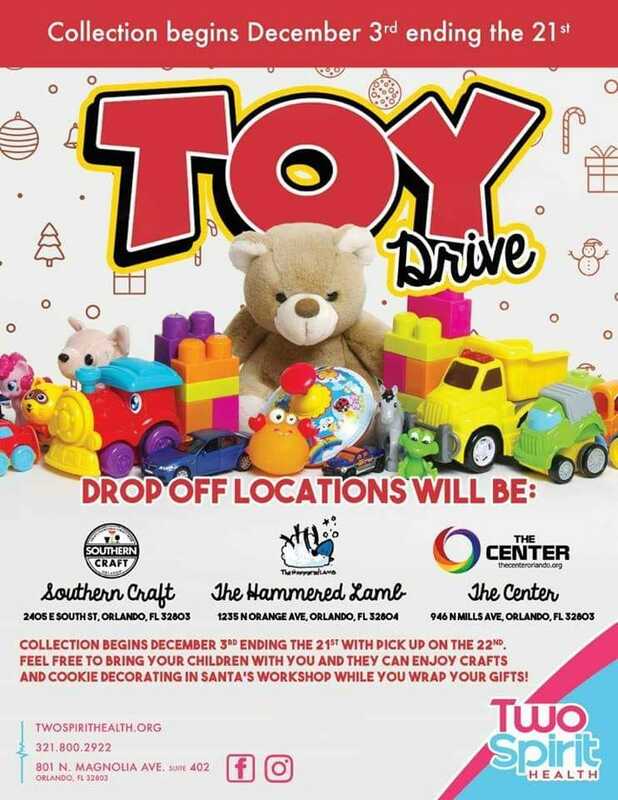 Drop off locations will be at Southern Craft, located at 2405 E. South St.; The Hammered Lamb, located at 1235 N. Orange Ave.; and The LGBT+ Center Orlando, located at 946 N. Mills Ave.
You can also drop toys off at The LGBT+ Center in Kissimmee and they will make sure they make it to The Center in Orlando. If you are in need of toys this holiday season please e-mail Two Spirit’s Brittani Acuff at brittani@twospirithealth.org.